Saucehouse BBQ expands in Atlanta with help of Prep Atlanta! Saucehouse BBQ expanded to Atlanta in 2017 with the help of a unique shared kitchen space concept called PREP Atlanta. PREP originally started out as a shared kitchen space that was rent-able by the hour and opened their new concept PREP 2 in 2017 as a way for Restaurateurs, Catering Companies, and Food Trucks to have a kitchen space that was available for rent on a yearly contract versus hourly. 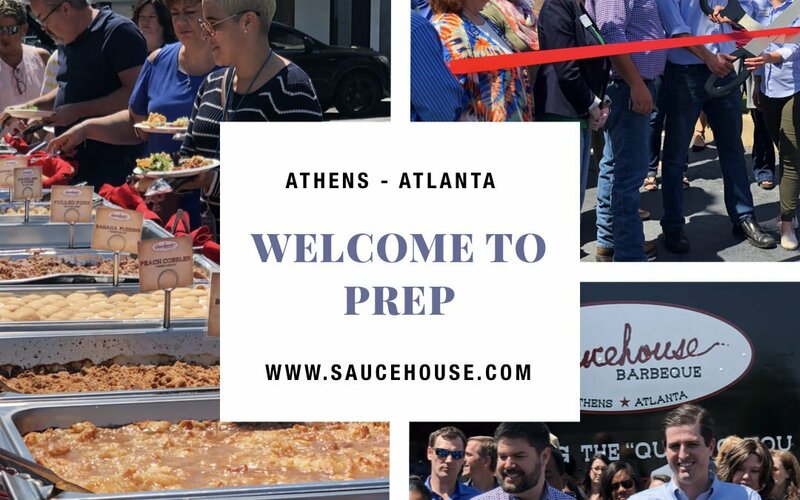 Saucehouse recently had their official grand opening held outside of their kitchen space at PREP 2 on April 27th. Friends and Family were delighted to have a free catered lunch accompanied with a personal private tour of their state of the art kitchen space after eating some delicious BBQ! Click here to view the blog post by PREP about Saucehouse.